Power Stop Euro-Stop Brakes - FREE SHIPPING on European Brake Kits! 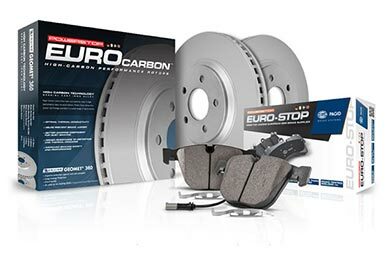 Upgrade your stopping power, without the expensive dealership price tag, with a PowerStop Euro Brake Kit. Available for most popular European vehicles on the road today, these custom kits are engineered to meet the strict European ECE-R90 standards necessary to stop your sporty ride. 3-year limited warranty. Received order promptly, appears to be the best quality brakes/rotors I have ever used. I typically am OEM and was checking what's available out there. I was skeptical at first but couldn't find any bad reviews about the product so it must be good and went ahead and purchased it. So far so good and time will tell. Kit was easy to install and seems to be working well after a couple weeks. The brake kit came with everything you'll need including two new caliper bolts. The installation was trouble-free. I don't see a difference between these brakes and OEM. Recommended. Reference # 766-181-608 © 2000-2019 AutoAnything, Inc.